Donna Ball. 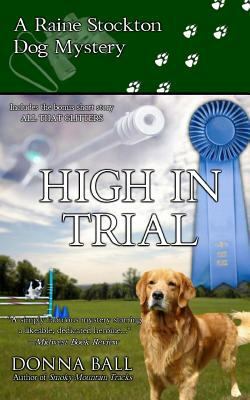 High in Trial. Mountain City, GA: Blue Merle Publishing, 2013. Book seven in the Raine Stockton Dog Mysteries opens in 1992 with a car wreck that was never reported, although later one of the drivers, Jeremiah Allen Berman, was arrested for a robbery-turned-murder. This leaves readers wondering what this scene will have to do with present-day events. Continuing on, we discover that our heroes, Raine and her golden retriever Cisco, are in Pembroke, South Carolina for the opening weekend of AKC competitive agility trials. Raine and Cisco have trained all winter. They are up for their first event and the day is looking promising, especially since Miles, Raine’s boyfriend, has come out to support them. All is well until they reach the hardest part of the course for Cisco, the pause table, where a dog is required to “…come to a screeching halt on the table, stay perfectly still for five seconds, and then take off like lightning again on cue.” Cisco nails it! But, a miscalculation by either him or Raine leaves Raine flat on her back with a nosebleed. Nevertheless, Raine pushes through the rest of the course and the two earn their first blue ribbon of the competition. This victory is soon overshadowed by the discovery that one of the other competitors was brutally murdered in the night. It begins to look like corruption has infiltrated this world of sportsmanship. Back home in Hansonville, North Carolina, Buck Lawson, Raine’s ex-husband, is acting sheriff since Sheriff Roe Bleckley, Raine’s uncle, has decided to retire after a heart attack. Roe’s mail still continues to be sent to the sheriff’s office and Buck stumbles upon a notification of the release of a felon named Jeremiah Berman. Such notifications are not routine. Buck’s interest is piqued; he soon learns that it was Raine’s father, Judge Stockton, who wanted to keep tabs on when Jermiah Berman was released. In his search to find out why Judge Stockton would have wanted this information, Buck learns that Berman had it out for Stockton and, with the judge’s death, has now turned his rage upon Raine. Reasoning why will lead to the unearthing of secrets that are sure to change Raine’s world forever. In this seventh book in the series, the chapters alternate between Pembroke and Hansonville; readers will be engaged by both stories and looking forward to the discovery of how the two intertwine. Donna Ball. 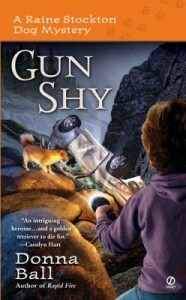 Gun Shy. New York: Signet, 2007. Book three in the Raine Stockton Dog Mysteries has all the elements that made the first two such great reads: murder, mystery, and of course, adorable dogs. Every fall, the tourists flock to picturesque Hanover County in the mountains of North Carolina. They buy local crafts, hike on the trails, and generally annoy the locals. But one tourist has created more of a calamity than usual: Michelle White is found dead in the cabin she rented with her husband, presumably by her own hand. Her husband is nowhere to be found, and her hysterical dog (who has been trapped for days without food or water) won’t let the sheriff’s department retrieve her body. Luckily, the sheriff’s niece is Raine Stockton, whose whole life is devoted to training and understanding dogs. Raine calms the terrified yellow lab, expecting to find an ordinary family pet, but Hero (as she decides to call him) is something else entirely. Michelle was partially paralyzed, and Hero was her service dog. Trained by an expert agency, Hero can fetch phones, turn on lights, and open doors. But why would Michelle White kill herself and leave her dog to fend for himself for four days? Most of all, how could she kill herself by holding the gun in her paralyzed right arm? Raine and her energetic golden retriever companion, Cisco, are soon on the trail of a murderer. But distractions get in the way–a bothersome new neighbor, her (sort of) ex-husband Buck, and Cisco himself, who likes nothing more than a bit of mayhem. Raine doesn’t see the danger until it’s right in front of her nose, and by then, it might be too late. Donna Ball. Rapid Fire. New York: Signet, 2006. As we open on the second book in the Raine Stockton dog mysteries, the titular heroine is happy enough– her kennel business is doing well, her dogs are happy, and her part-time job with the Forest Service in small Hansonville, North Carolina provides just enough extra cash to keep life comfortable. Even her relationship with her estranged husband, Deputy Buck Lawson, is going as well as can be expected. That is, until said husband shows up on her doorstep with an agent from the FBI. Since Buck is with the local Sheriff’s Department, the situation isn’t all that strange, but it quickly turns personal: the FBI is looking for Andy Fontana, and they think Raine knows his whereabouts. Back in their college days, environmentally-conscious Andy used to be Buck’s best friend and Raine’s boyfriend. In fact, she almost married him instead of Buck, until he disappeared under the shadow of a terrible act of eco-terrorism that left several people dead. The FBI were never able to locate him, but now they think he might be returning to Hansonville. Raine never believed that Andy was guilty, but things start looking bad: a local construction worker turns up murdered, some bulldozers are vandalized, and Raine starts receiving what might be messages from her erstwhile beau. 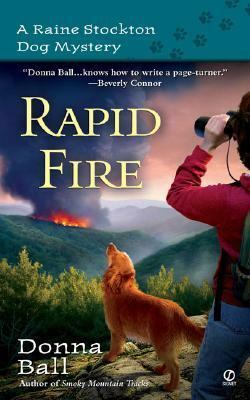 When a forest fire breaks out, it’s up to Raine and the one companion who has never abandoned her, the faithful golden retriever Cisco, to join the manhunt and finally find out the truth. Donna Ball. Bone Yard. Mountain City, GA: Blue Merle Publishing, 2012. Raine Stockton is ready for the quiet life. After the adventures of the past few years, all she wants is to sit back and run her boarding kennel in peace. Well, in as much peace as one can have with two active Australian shepherds, one very regal collie, and a two-and-a-half year old golden retriever. Raine is actually doing very well: she’s expanding her boarding kennel in the mountains of Hansonville, North Carolina to include an indoor training ring. If it would just stop raining, the construction crew could finally pour the concrete and she could get started working with her dogs on agility and obedience in much greater comfort. But life is going to stay interesting for Raine and her excitable pooches. During an especially wet and muddy day, her retriever, Cisco, digs up a bone from the construction site. 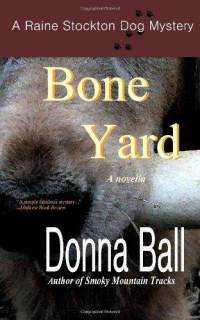 When a friend points out that the bone the retriever dug up is a human tibia, Raine prepares herself for the worst– an encounter with her ex-husband, the local sheriff. Soon her backyard is crawling with state police in addition to the sheriff and his men, and when a plastic bag full of remains is discovered, Raine knows that her indoor training ring won’t be built anytime soon. But how could a body be buried here in the first place? The home has been in her family for over a hundred years, which could lead to some awkward questions. On top of the bones, Raine has other problems with both dogs and men– her collie Majesty keeps sneaking off, and handsome Miles Young, a local developer whom she should dislike, is clearly attracted to her. Luckily, her faithful companion Cisco is never very far away, especially when Raine has liver treats. Donna Ball. Smoky Mountain Tracks. Mountain City, GA: Blue Merle Publishing, 2012. Raine Stockton, like generations of Stocktons before her, lives in the small (fictional) town of Hansonville, North Carolina. Nestled just on the edge of the stately Nantahala National Forest, Hansonville has gone largely undiscovered by the outside world– it’s still a small town with the same families that have lived there from time out of mind. While her ancestors may have been livestock farmers, Raine has chosen to focus on a different animal: dogs. In addition to running a small boarding kennel and grooming salon out of her home, she trains her golden retriever, Cisco, in agility and tracking. So she shouldn’t be surprised when deputy sheriff Buck Lawson (who is also unfortunately her ex-husband) calls her up at three o’ clock in the morning to ask for her and Cisco’s help with a manhunt. Angel Winston, the young daughter of a local ne’er-do-well, has been kidnapped and taken deep into the woods. But Cisco is very young and mostly unproven, and instead of finding Angel, he leads the police to an empty cabin with a discarded can of baked beans inside. Heartsick and returning home, Raine inadvertently discovers what her dog did not– the kidnapper, murdered. Angel is still missing, but the circumstances of her disappearance become more and more bizarre. Could they be related to a wealthy developer’s plans to bring Hansonville into the 21st century? Like Cisco, Raine is stubborn when she smells something funny, and despite Buck’s warnings and her own common sense, she persists in asking troublesome questions. Will Raine and the energetic Cisco sort out the truth before it’s too late? Check the availability of this first book in the Raine Stockton Dog Mysteries in the UNC-Chapel Hill Library catalog. Donna Ball. 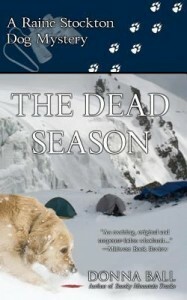 The Dead Season. Mountain City, GA: Blue Merle Publishing, 2012. Raine Stockton and her energetic golden retriever Cisco are back in action in this, the sixth novel in the Raine Stockton Dog Mysteries. Their latest adventure opens on a snow-bound Hansonville, North Carolina in January, in the middle of what the locals call “the dead season.” There are no tourists, no holidays to look forward to, and no one feels like venturing very far beyond the cozy heat of his or her wood stove. Raine Stockton is going out of her mind with boredom. So when the director of a local hiking organization for troubled teenagers called New Day Wilderness Program asks her to join his staff temporarily for a winter hike, she can’t resist going along. She and Cisco will be joining Paul Evans, his wife Rachel, a young counselor named Heather, and five teens enrolled in the program as they embark on a trust-building journey into the mountains. At first, Raine is excited. She’ll get to teach the youngsters about wilderness survival, and Cisco will perform some search and rescue demonstrations. But as the expedition progresses, it becomes increasingly apparent that New Day holds some dark and ugly secrets. Paul and Rachel’s approach to team building often seems more cruel than instructive, and Heather is still traumatized by the recent, unexplained death of her boyfriend, a fellow New Day counselor. Cisco brings joy and life to the trail as usual, but when an unexpected blizzard blows in, the tension and the cold both begin to snap. Will anyone get out of the mountains alive? And will Raine end up needing Cisco’s rescue skills in earnest? 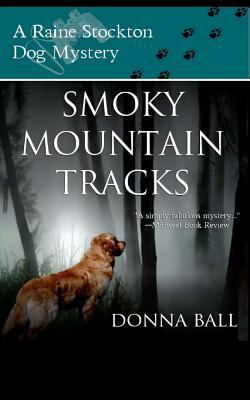 Join the savvy woman and dog duo as they follow this mystery’s trail to its gripping conclusion.